To and From the Airport - Grenada. Your on-line guide to airport travel. Location: 1.2 Miles/2 km W of Hillsborough. By Taxi: EC$10 to Hillsborough, EC$20 to Tyrrel Bay, Cassada Bay or Bogles. 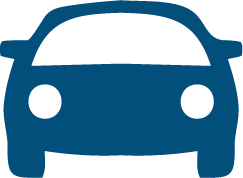 Rental Cars: Sunkey's Rental can deliver cars to the airport. Tel +1 (473) 443 8382. Rates start at US$50 per day. Airport Tel No: +1 (423) 443 7362. Location: 10 km/7 Miles SW of St Georges. By Taxi: XCD/EC$ 25 To Grand Anse or Lance aux Epines, XCD/EC$ 30 to St George's. By Bus: A bus is reported to run to St Georges for XCD/EC$ 10/15-20 mins. Rental Cars: Dollar & Budget are at the Airport. Airport Tax: Departure: XCD/EC$ 50 for pax over 12. Children (age 5-12) pay half. Airport Tel No: +1 473 444 4101.